Since video cache can be used for downloads, download is instant if video is in the cache. Supports 1080p, 720p, 360p, 240p video formats. 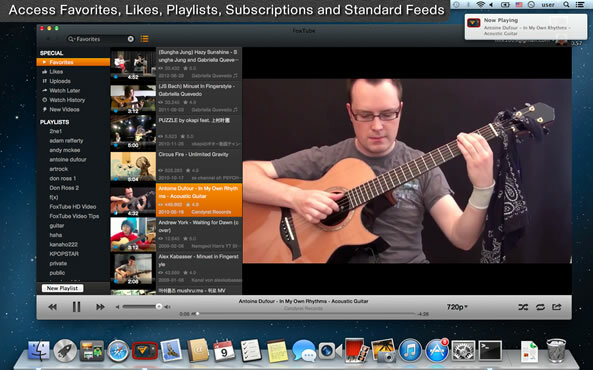 FoxTube tracks downloaded videos so you don't have to use other apps to play. Due to App Store policies, caching and download feature is not available in App Store version. 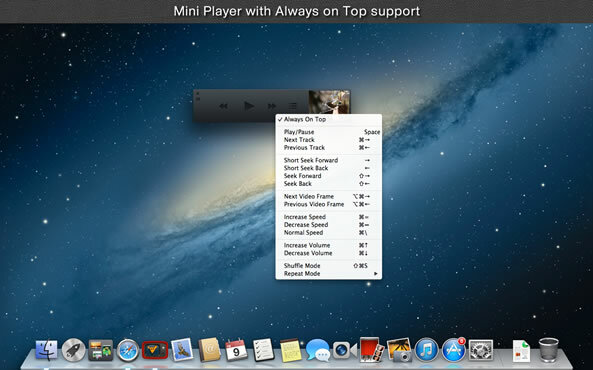 Sleek Mini Player with Always on Top support. You can use it as a music player and access playlists without too much screen estate. 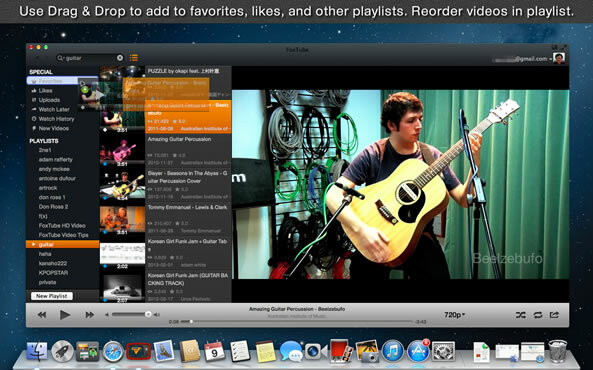 Support Native Lion Full Screen & non-Lion Full Screen mode . 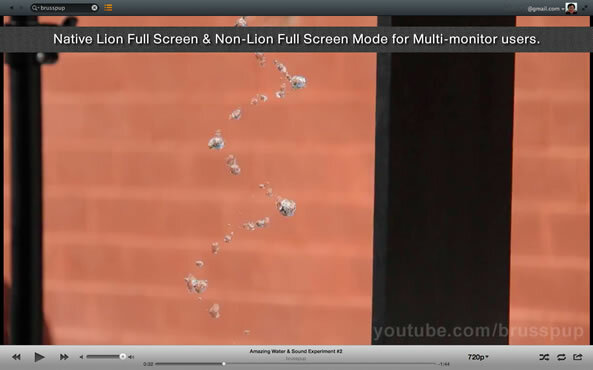 Non-Lion full screen is useful for multi-monitor users. You can choose full screen mode from preferences. Drag video to Favorites and Likes. You can add videos to playlists just by dragging videos into the tree view. 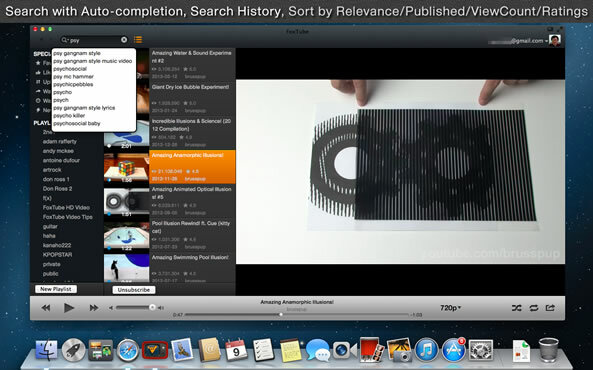 Simply drag videos within a playlist to reorder!